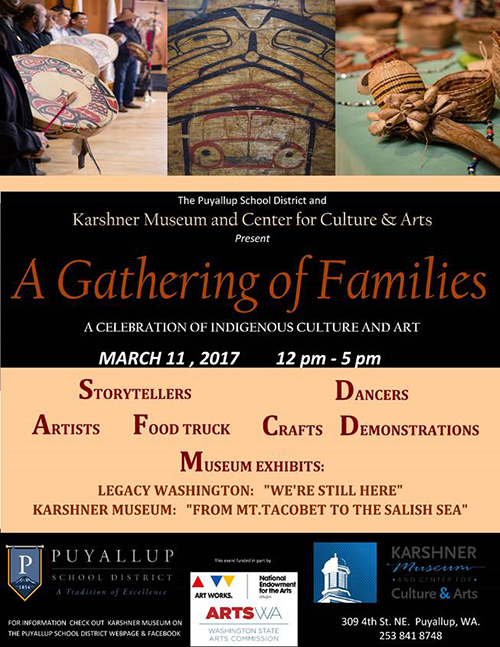 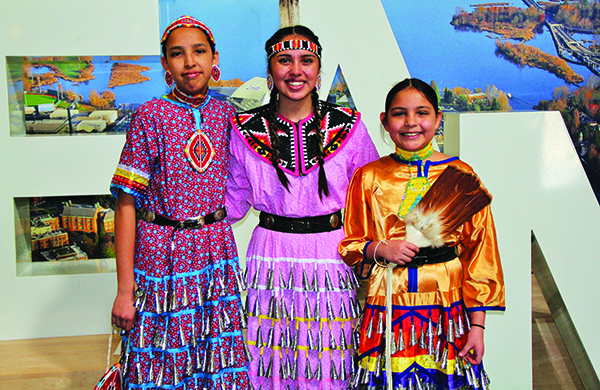 Saturday, March 11 is the second annual ‘A Gathering of Families’ The event will feature storytellers, dance groups and Native artists sharing their work and selling. 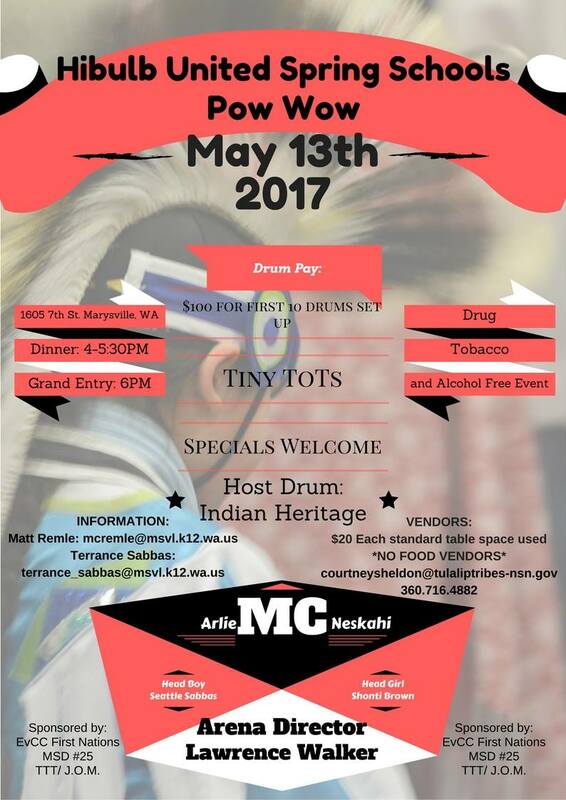 Two exhibits, artifacts from traditional Coast Salish cultures, children’s crafts and a fry bread truck and its all free. 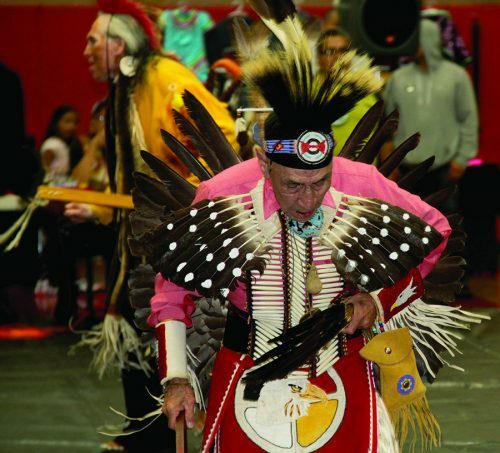 In the Francis Sheldon Gym of Heritage High School, drumbeats echoed throughout the room as spectators filled the bleachers to enjoy a night of culture and Christmas. 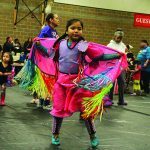 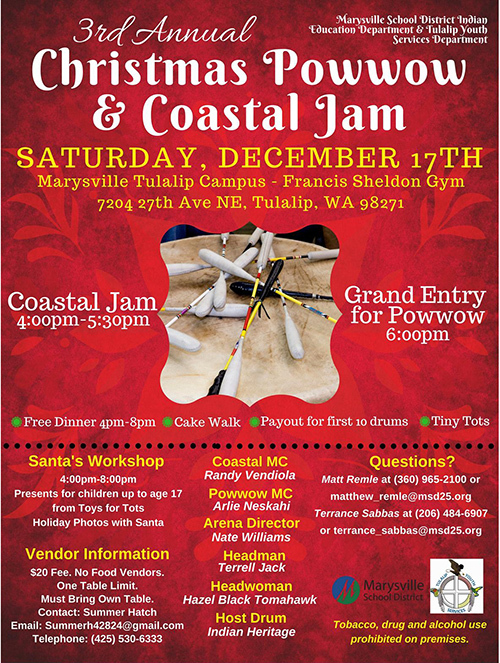 Hosted by Tulalip Youth Services and the Marysville School District, the Third Annual Christmas Powwow and Coastal Jam spread holiday cheer, with traditional song and dance, to the Tulalip community. 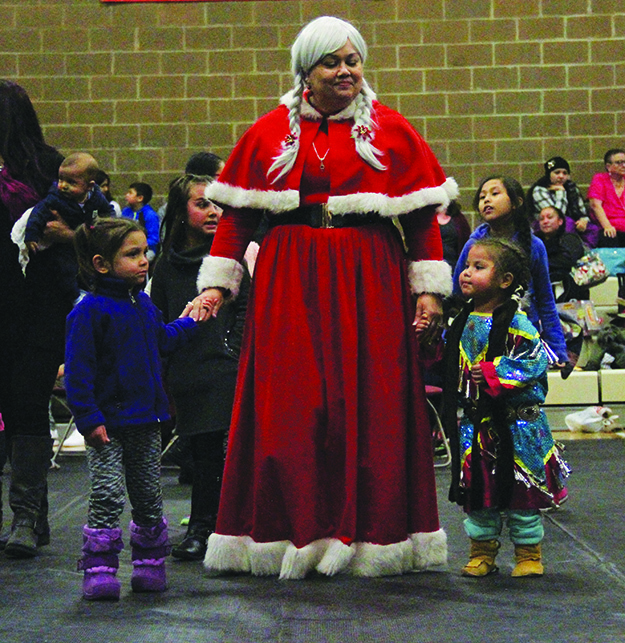 Mr. and Mrs. Claus handed out presents to the children, donated by Toys for Tots. 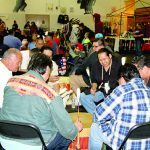 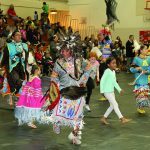 Led by MCs Randy Vendiola and Arlie Neskahi, the powwow presented the opportunity for community members to spend time with each other, while celebrating Indigenous culture and traditions during this holiday season. 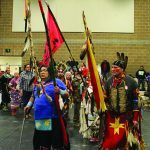 Toppenish, Wash. – Heritage University’s two Native American student clubs recently announced that the Grammy-nominated group, Black Lodge Singers, will serve as the Head Drum at their first ever All Nations Student Pow Wow. 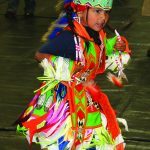 The Pow Wow will take place at Heritage University in Toppenish on Saturday, September 17 starting at 10:00 a.m. with the Grand Entry taking place at 1:00 p.m. 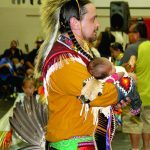 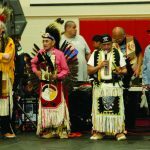 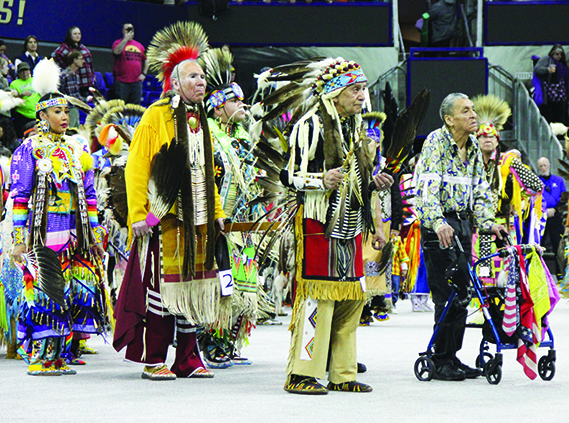 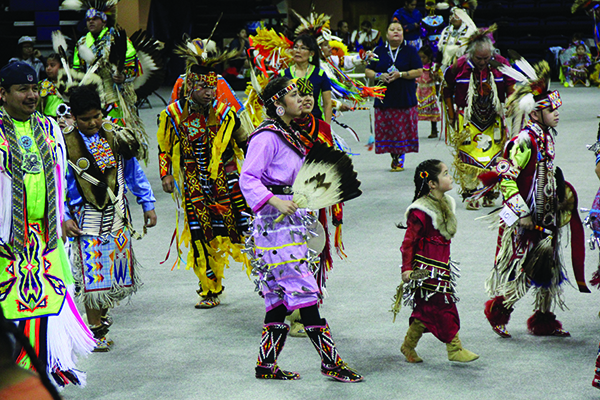 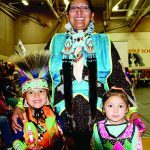 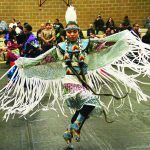 It will feature a drumming competition as well as men’s and women’s traditional, fancy, grass and jingle dance competitions for dancers of all ages—from tiny tikes to adults over 55. 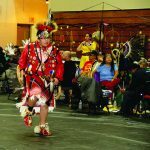 Several honor dances and intertribal dances, where people from all different cultures are invited to participate, are also planned. 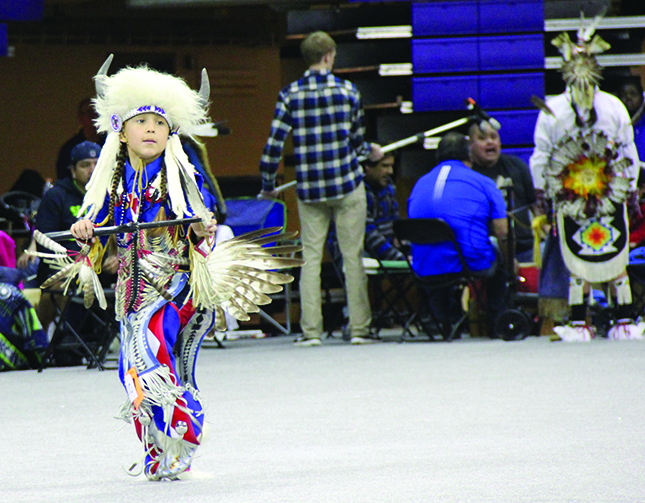 The campus will be filled throughout the day with vendors selling food, crafts and other merchandise. 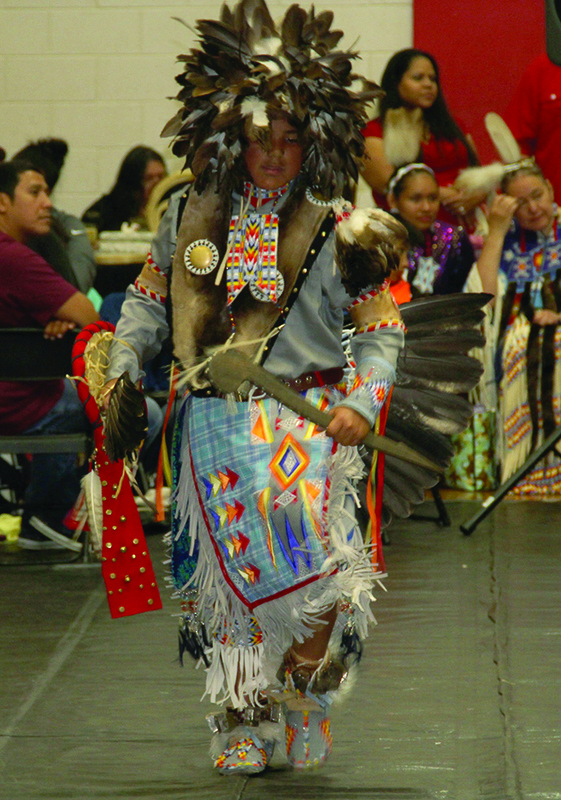 Rounding out the day will be a hosted evening meal at 6:00 p.m. 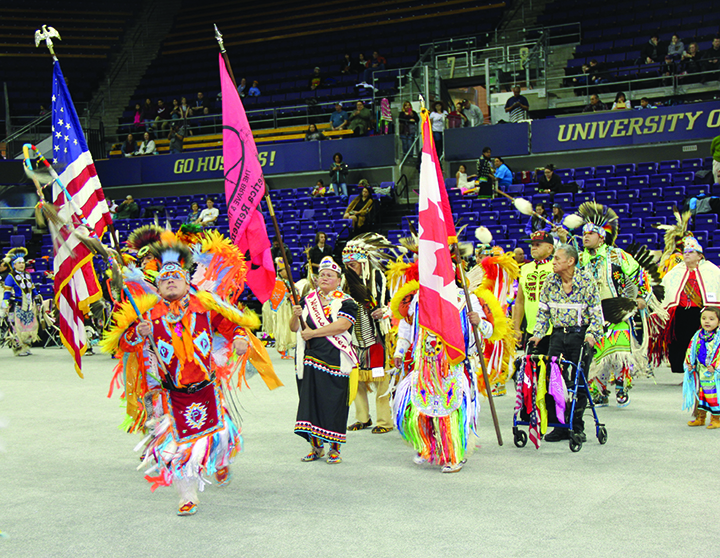 The event truly is a campus-wide affair with students, alumni and supporters taking on lead roles. 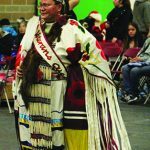 Long-time supporter Arlen Washines, head of Yakama Nation Higher Education, will serve as the event Master of Ceremonies. 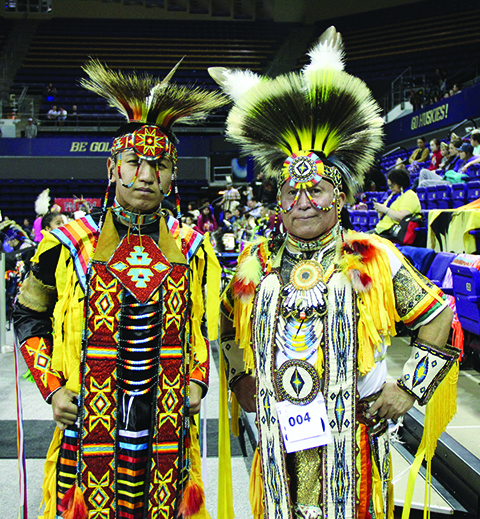 Heritage student Jacob Billy and alumnus Haver Jim will split the role of Arena Director. 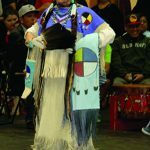 There is even a Heritage tie to the Black Lodge Singers, one of the members of the group, John Scabbyrobe, is an education major in his last year at the university. 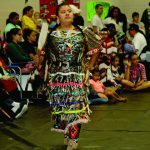 HollyAnna Littlebull, also a student and member of AIBL, stresses that one of the things that makes this pow wow different from others is the way it blends elements from traditional pow wows with other elements to make for an welcoming event for all. 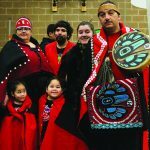 She explains that it was important to the student organizers to build the drumming, honoring and singing portion of the event according to tradition. 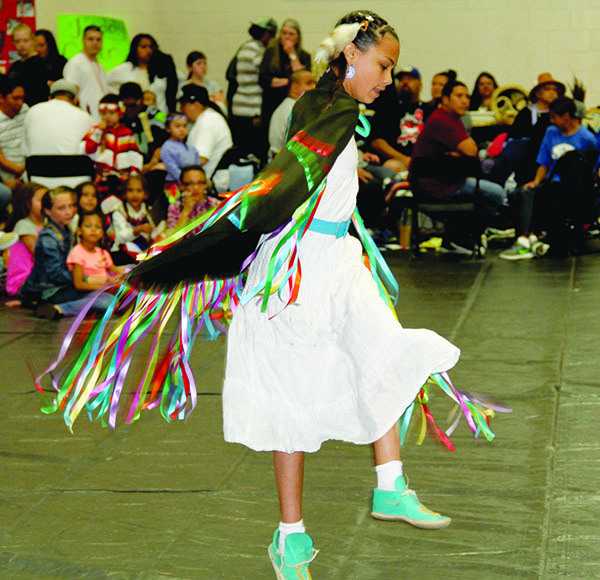 However, they felt the need to include the entire campus community in the event planning and participation. 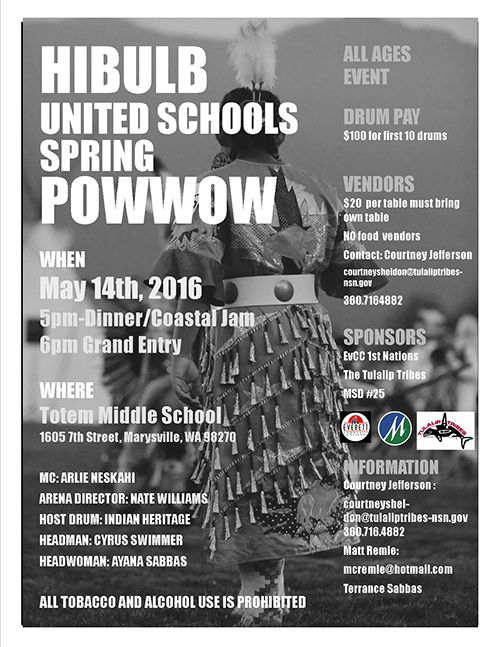 Many of the vendors will be student clubs who will be selling food as fundraisers. 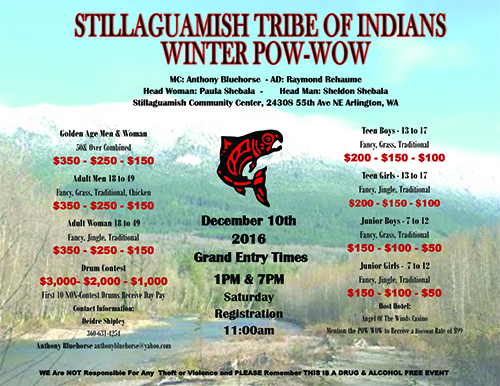 Additionally, area businesses, non-profit organizations and tribal agencies are invited to host information booths. 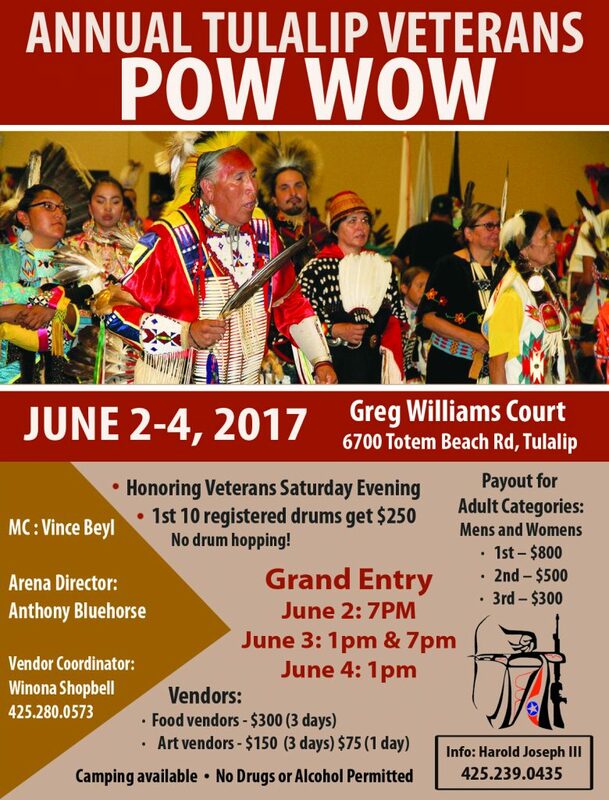 The Pow Wow is a free event and open to the public. 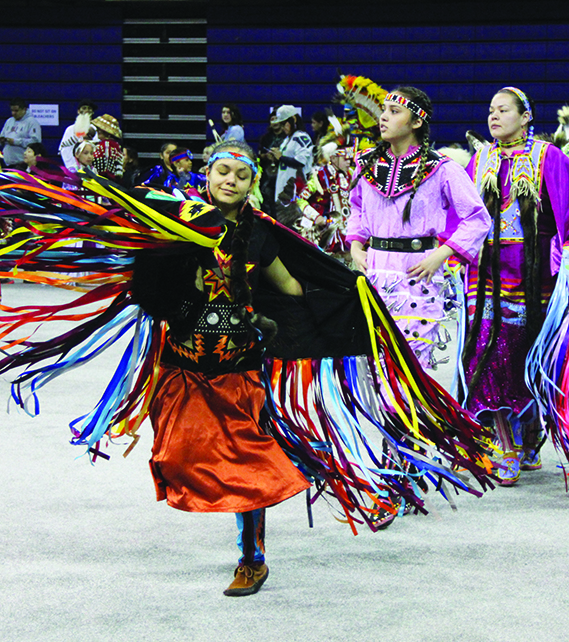 Dancer and drummer registration will open at 11:00 the morning of the event and will remain open until 2:00 p.m. 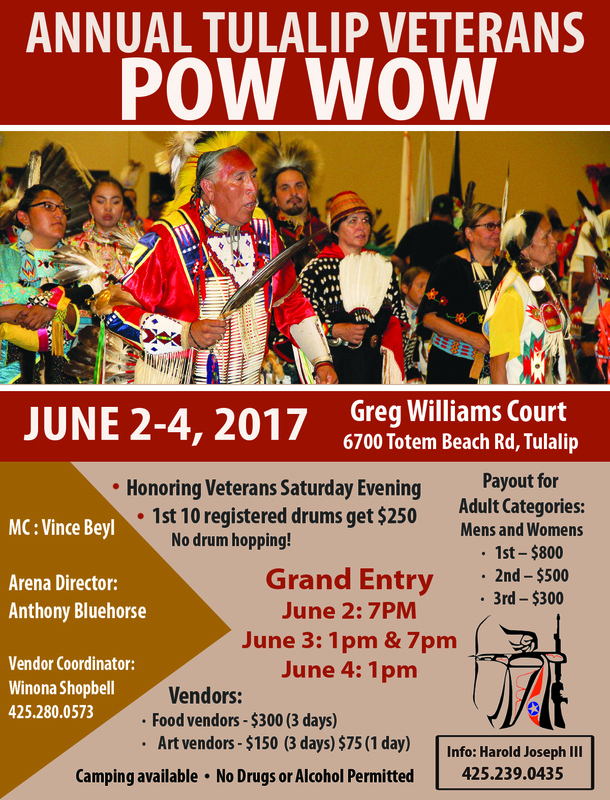 Vendor applications are still being accepted. 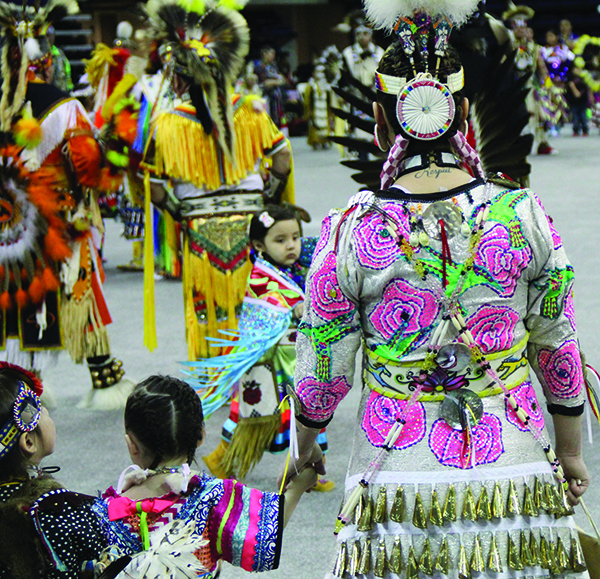 For more information, visit heritage.edu/powwow.